“George Papadopoulos allegedly told a confidant in 2016 that he was pursuing a business deal in Russia that would result 'in large financial gains' for him and Trump,” reports The Atlantic's rockstar reporter Natasha Bertrand. The House Intel Committee and FBI are now investigating. 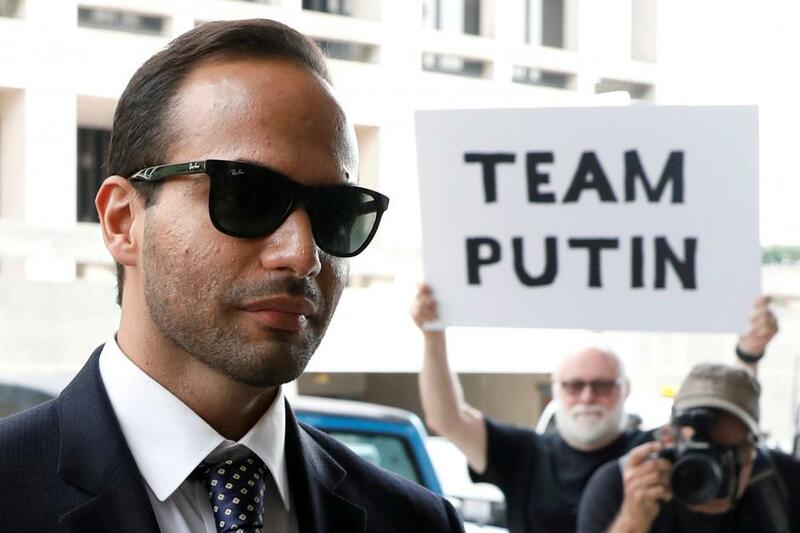 George Papadopoulos, a Trump campaign adviser who pleaded guilty to lying to federal agents about his interactions with a Russia-linked professor in 2016, went to jail on Monday after fighting, and failing, to delay the start of his two-week prison sentence. But a letter now being investigated by the House Intelligence Committee and the FBI indicates that Papadopoulos is still in the crosshairs of investigators probing a potential conspiracy between the Trump campaign and Russia. The letter, obtained last week by The Atlantic, was sent to Democratic Representative Adam Schiff’s office on November 19 by an individual who claims to have been close to Papadopoulos in late 2016 and early 2017. The letter was brought to the attention of Schiff and House Intelligence Committee staff, according to an aide who requested anonymity to discuss an ongoing investigation. The letter was also obtained by federal authorities, who are taking its claims “very seriously,” said two U.S. officials who also requested anonymity due to the sensitivities of the probe. The statement makes a series of explosive but uncorroborated claims about Papadopoulos’s alleged coordination with Russians in the weeks following Trump’s election in November 2016, including that Papadopoulos said he was “doing a business deal with Russians which would result in large financial gains for himself and Mr. Trump.” The confidant said they were willing to take a polygraph test “to prove that I am being truthful” and had come forward now after seeing Papadopoulos “become increasingly hostile towards those who are investigating him and his associates.” A lawyer for Papadopoulos declined to comment.